Thanks for your booking & we will confirm your site visit by email soon. Please stay tuned. WANNA USE IT AS YOUR PRIME OFFICE? Banks like HSBC, Hang Seng Bank, and hotels like The Landmark Mandarin Oriental are just a couple of minutes walk away. There are an abundance of restaurants, pubs, fitness clubs and shopping malls for relaxation after work. Is serviced office a good fit for my business? Many businessmen go for serviced office for 3 main reasons - Privacy; Getting the Best Ready-to-Use Service at where they work; and Using a Rather Long-Term Office Area for the growing team to locate at a true cost-effective rate. The grade-A location of BRIDGES is the most valuable add-on. Situating in the famous CBDs of HK - Central and Admiralty, both our offices have great location advantage with easy access to major transportation (e.g. 2 mins walk from Central MTR and 1 min walk from Admiralty MTR), carpark and well-known buildings. Best for start-ups to set up their own office at the beginning stage, where we also offer meeting facilities so our clients can conveniently meet with business partners anytime in a decent environment. How flexible the lease can be? Will you be bound to a whole year commitment like traditional premises? Surely not. Our serviced office offers 1 day, 1 month to 1 year lease terms for you to pick, and your company can even upgrade the office in use from a small workspace to a larger unit anytime within the contract period, dedicated to your needs like a rapid business growth. That is said, for the other way around, you also don’t have to pay for the space you might not need at the moment. Besides serviced office, what support can my business get here? A very good question that a lot of you might be having. 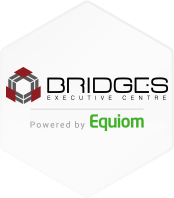 In many aspects, BRIDGES serves in different roles but one function: BRIDGING and FULFILLING our client's various corporate needs under one roof. For example, if our office tenants have any accounting or China Visa queries, they just need to come to our front desk and our in-house consultants will provide answers to them or even process the application right away - so convenient and efficient. A wide range of business support also includes HK / offshore company setup, audit arrangement, tax compliance & strategy, payroll & MPF administration, trademark registration, HK working visa, document translation and many more that are beyond your imagination. Our professional team is committed to taking care of your company needs thoroughly from basic to advanced. Regular business seminars on useful topics such as tax reporting, trademark, China entity formation, legal dispute & litigation, etc. are held here on a FREE basis for start-ups / SMEs to receive practical knowledge. Which type fits me better - serviced office or co-working space? If you’re those who go after a flexible working schedule or always look for new inspiration, we’d say co-working space might fits you better as you can always meet new faces. Many start-ups like this pick due to the cost-efficient attribute too. If you're one of those rather matured companies, serviced office could be more suitable as it provides a fully furnished private workspace unit that allows lots of privacy and confidential information transfer. Read our recent blog with detailed analysis on this topic "Co-Working Space or Serviced Office?" here for you to have a clear comparsion. Searching an office space outside HK? Try this quick tool that'll help you get a decent overseas workspace in the blink of an eye! Own a HK business but travel frequently? Get your corporate address here and we’ll help take care of your maintenance. Book our meeting room to meet your partners or clients anytime at a decent place. 20% off for in-house clients. Travel to China within a short period of time? Just come to our front desk and apply for a 1-Day Express China Visa. Schedule a tour for your future office here. 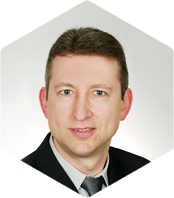 Get your foreign workspace from this global office space system.